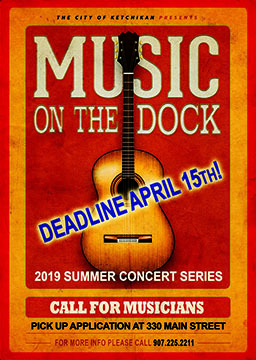 In its third season, the City of Ketchikan Music on the Dock is a partnership with the Ketchikan Area Arts and Humanities Council. Ketchikan musicians are featured on Ketchikan's docks all summer for visitors and locals alike to enjoy. 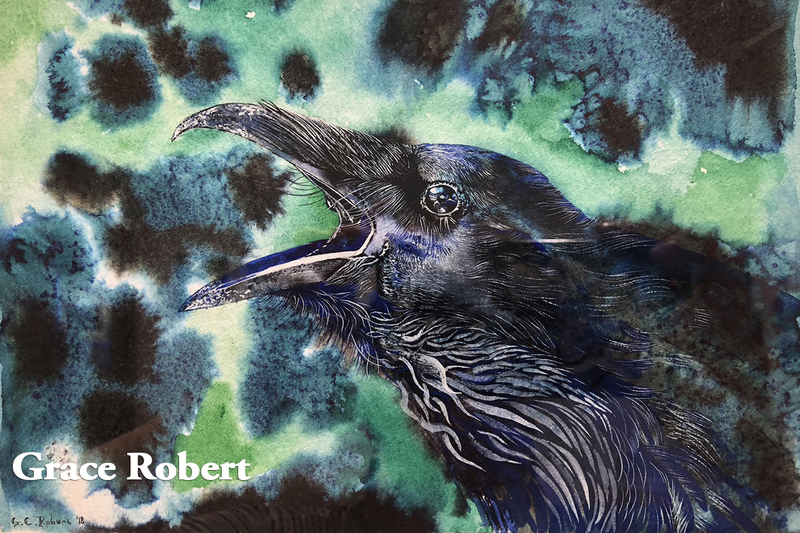 The series not only benefits the listeners, it is hugely beneficial for the musicians of Ketchikan to perform. Many new ensembles are formed just to play on the dock in the summer! 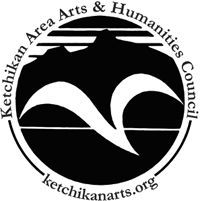 KAAHC sends out a huge thank you to the City of Ketchikan for supporting Music on the Dock and growing Ketchikan's musicians!!! The City of Ketchikan will be featuring local musicians on the dock this summer while cruise ship passengers disembark to enjoy our town. Click here for a PDF of the application to print out or stop by the Arts Council to pick one up today! 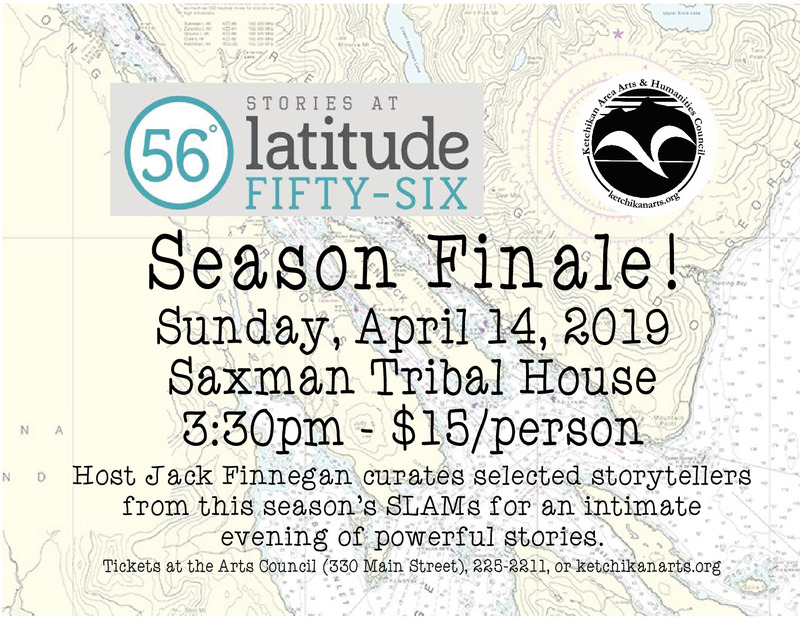 All local musicians in the Ketchikan area are invited to take advantage of this opportunity!!!! There is an application and audition process for performers. represent Ketchikan in the best light. MP3 of a few of your songs, or links to YouTube or music hosting sites with your performances. If you can’t swing recordings of your group, we will schedule you for a live audition and/or interview. Don’t have 60 minutes of music? No problem! Connect with some of your musician friends and apply together. Do you want to play more than once? Great! That is something we will want to know in the application. There will be a maximum of 40 performances over the summer, and we anticipate that some groups will be able to play more than once. What kind of support can musicians expect? 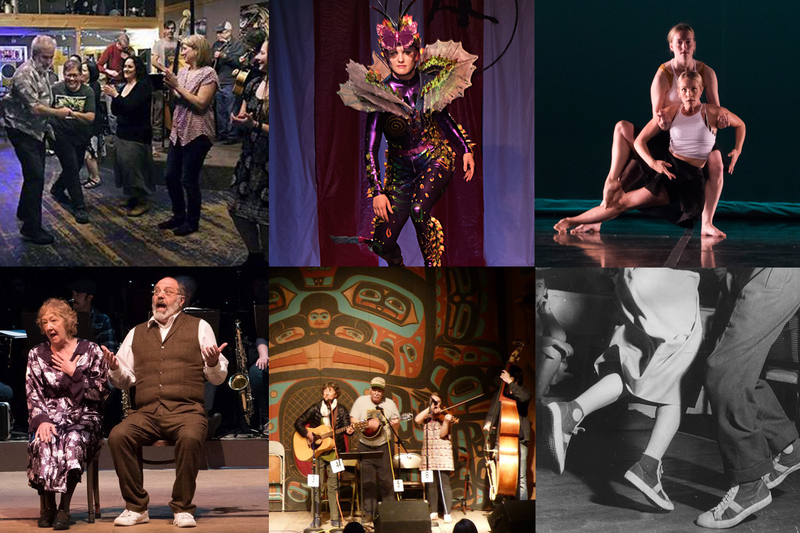 The Arts Council will schedule all the performances well in advance for poster, online, and social media promotion. This is an opportunity for all types of musical groups to perform, including an individual or a group of 15 (or more!) people. Remuneration will be $100 per musician for an hour performance, up to 5 musicians, or $500. If you have more than 5 musicians in your group – no problem! You guys can split the $500. We will schedule musicians until the funding is all spent!! A small, portable sound pod with 4 inputs that will provide sufficient sound enforcement. If you need help with your set up, you can count on the Arts Council! A sound tech will be there to help you set up and monitor sound. We can find music stands and chairs too if you need them. In addition to performing, this is an opportunity to sell your CDs and to collect donations from folks walking by. Your band needs to check in with sound and be ready to take the stage 15 minutes prior to your set time. Be prepared to set up and take down quickly. We will not extend your set time! Large groups- please keep in mind the size of the area is limited. Due to space and accessibility, not all tech requirements may be accommodated. Music on the Dock is open to the public, families with children will be attending so please keep that in mind. The sound levels will be adjusted according to this dynamic as well. The sound technician is ultimately in charge of the quality and level of sound. Schedules will be posted a month out. If your application is approved you will be notified of your set date/time via e-mail.